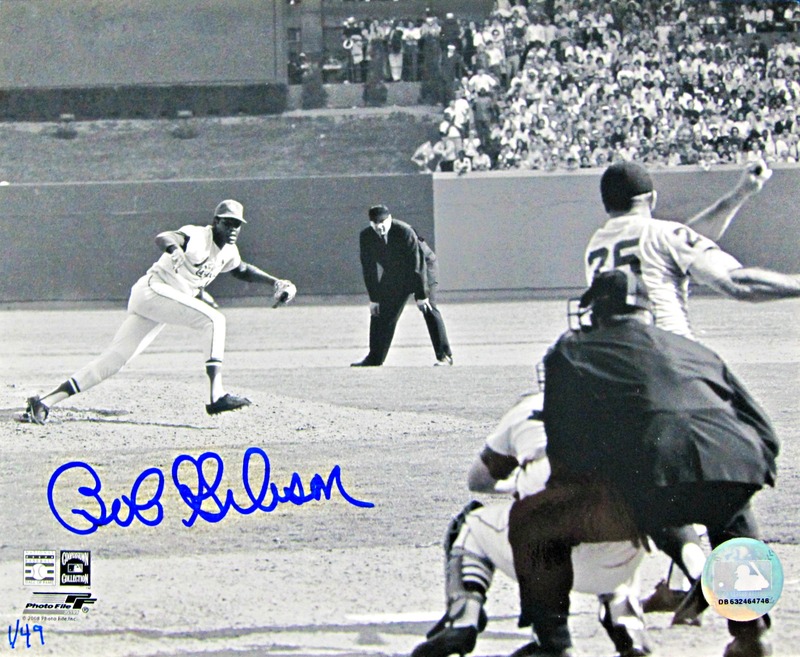 Few pitchers exuded a more dominant presence on the mound than Bob Gibson, and these 8 x 10’s pay homage to the Cardinals ace and his record 17-strikeout performance during Game 1 of the 1968 World Series against the Tigers. Each of these is signed in either blue or silver Sharpie, with overall signatures rating 9/10. One photo is signed twice for a total of 50 signatures. The photos are 8 X 10. Gibson struck out 3,117 career batters and averaged an incredible 210 punch-outs a season. He was even nastier in October, going at least eight innings in his nine starts, including eight complete games and 92 strikeouts in 81 innings. 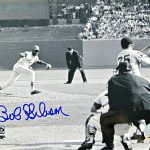 Certificate of Authenticity from Bob Gibson, MLB and Leland.